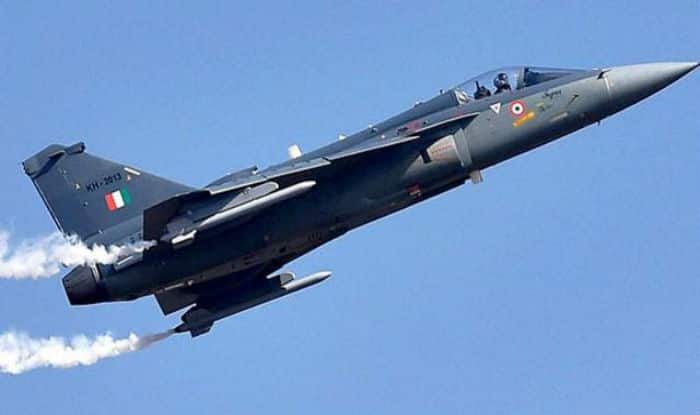 The armed forces have virtually given the thumbs down to the proposed advanced versions of the indigenous Tejas light combat aircraft and Arjun main-battle tank by strongly pitching for mega acquisitions of foreign single-engine fighters and futuristic armoured fighting vehicles through the 'Make in India' route under the 'strategic partnership (SP)' policy. The Army last week issued the preliminary tender or request for information (RFI) to global armament giants for an initial 1,770 futuristic tanks called the future ready combat vehicles (FRCVs) geared for "rapid dominance in an expanded battle space", while the IAF is getting set to do the same for 114 single-engine fighters soon. This comes in the backdrop of the defence ministry finalising the SP policy in May to boost the country's fledgling defence production sector, which envisages Indian private sector companies producing cutting-edge weapon systems in collaboration with global arms majors through joint ventures and technology transfers, as earlier reported by TOI. The going will, however, not be easy for IAF and Army. For one, the annual defence budgets now have very little money for new projects with the bulk of the capital outlay being used for "committed liabilities" or instalments of deals inked earlier. IAF's single-engine fighter project, which will be a direct dogfight between the Gripen-E (Sweden) and F-16 (US) jets, for instance, will alone cost an estimated Rs 1.15 lakh crore. For another, the DRDO-defence PSU lobby is putting up stiff resistance, leading the government to question the need for the single-engine fighter project. "Questions have also been raised whether such a major project should be given to the private sector. Hindustan Aeronautics Ltd (HAL), in turn, says it can deliver a much better single-engine Tejas," said a source. DRDO contends the forces continue to cold-shoulder indigenous platforms in their hunger to acquire foreign ones. Instead of ordering say around 500 Arjun tanks, which would have stabilised production lines, achieved economies of scale and paved the way for development of a futuristic MBT, the Army has inducted only 124 Arjun Mark-1 tanks till now. The Army is not willing to order 118 Arjun Mark-II tanks, costing over Rs 6,600 crore, till they clear field trials. "The FRCV project, if it takes off, will kill the indigenous FMBT project," said a scientist. But all this cuts little ice with the forces, which say the DRDO-defence PSU lobby "over-promises and then under-delivers" with huge time and cost overruns. "Can operational military readiness be sacrificed at the altar of indigenisation?" asked a lieutenant general. IAF, for instance, says Tejas is yet to become combat-ready or achieve "final operational clearance" after being in the making for over three decades. "Moreover, with its limited range and weapon carrying capacity, the Tejas simply does not give IAF the punch and cost-effectiveness it needs. Tejas, which has just about 50% of the capabilities of an F-16 or Gripen in terms of endurance, payload etc, will have to fly under the protection of other fighters during conflicts," said an officer. Grappling with just 33 fighter squadrons when 42 are need to take care of the "collusive threat" from China and Pakistan, the IAF feels the single-engine fighter project is necessary to maintain adequate force-levels till an entirely new Tejas Mark-2 becomes a reality. Last edited by ashdoc; November 14th, 2017 at 04:22 AM. So, is it that there are more kickbacks from “Make outside India”. Unless the forces start using it, products can’t improve. Perhaps, they could use both concurrently? Security expert Bharat Karnad on Tejas tragedy. Last edited by ashdoc; November 15th, 2017 at 09:30 AM.